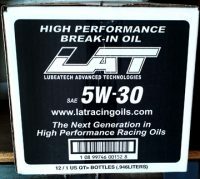 For the past couple of years LAT Racing Oils have become a household name in the pits of virtually every form of motor racing, and there’s good reason. Racers are realizing exceptional results. 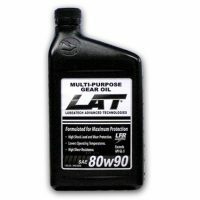 Expense is not a consideration at LAT and each blend begins with the very finest, Group IV and Group V base oils available. These extremely pure oils are blended with the company’s exclusive LFR additive to provide a new level of protection for engines running at high rpm. 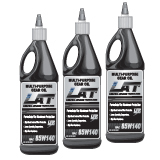 Independent testing has shown a noticeable reduction in friction, scuffing and galling, and operating temperatures. 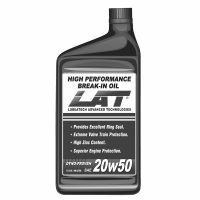 Unique chemicals provide the oils with a high flash point and extreme resistance thermal breakdown. 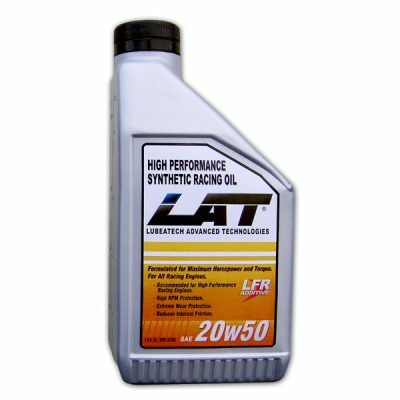 No matter if you’re looking for an edge at the track or superior protection for your high performance street engine LAT’s High Performance Synthetic Racing Oils have you covered. Sold per quart.